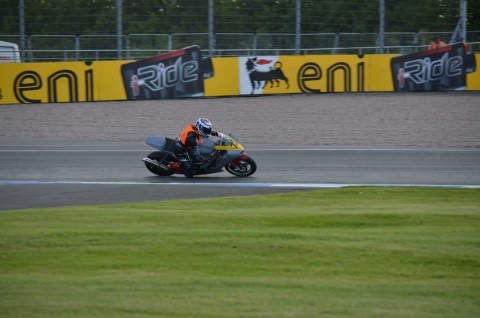 Weekend Review, Donington SBK Round. Donington world super bike support was round four of the BEMSEE minitwin championship. Ariving to be told “You cant pitch a tent at this circuit!” we were escorted to what was a grassy corner of a piece of waste land! This wasteland was to be the minitwins paddock for the weekend. The whole weekend was amazing with full access to the paddock. I was a little disapointed though when I found my pit pass wouldnt get me past security and into the pits when the superbikes were getting ready to go out. By the end of this weekend I had completed a total of 12 races with 12 top ten rookie finishes.